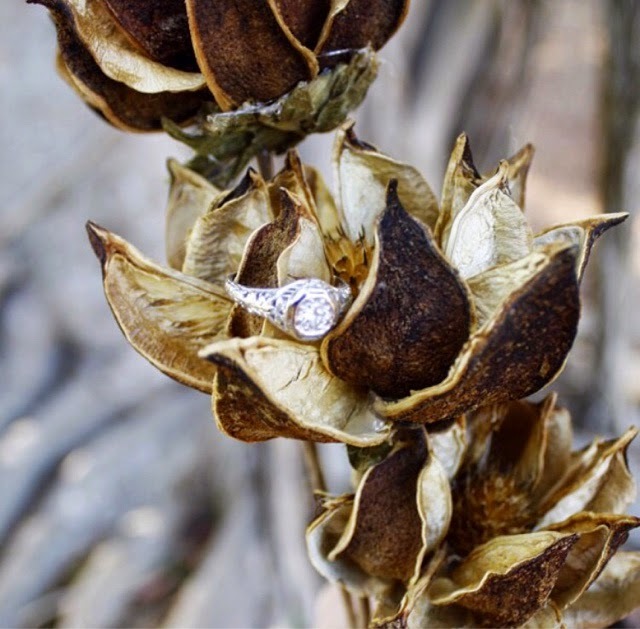 There's something to be said about someone who can pick jewelry for you. Pooks has learned over the years that I don't do cookie-cutter jewelry. Most ladies in Atlanta that are around my age are rocking an arm full of Yurman and halo-set, cushion cut engagement rings. Alternatively, I've got an arm full of turquoise-encrusted bangles and door-knocker sized rings I've collected over the years. 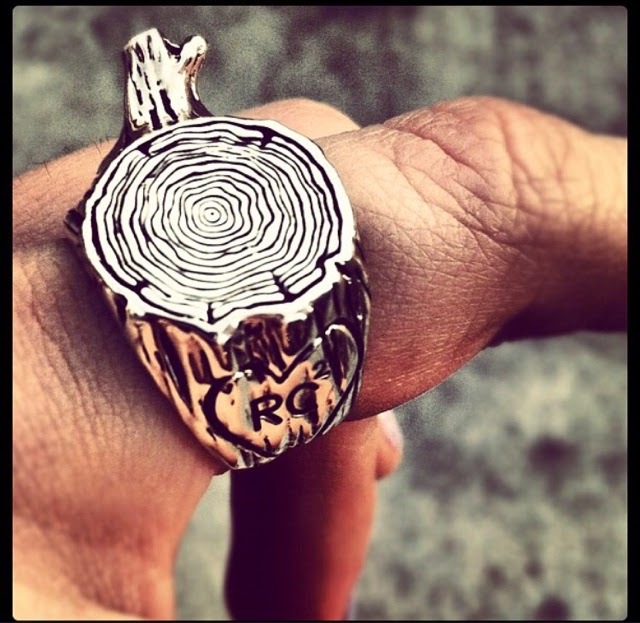 The first ring Pooks ever bought me was a sterling silver tree stump inspired by Shel Silverstein's 'The Giving Tree.' 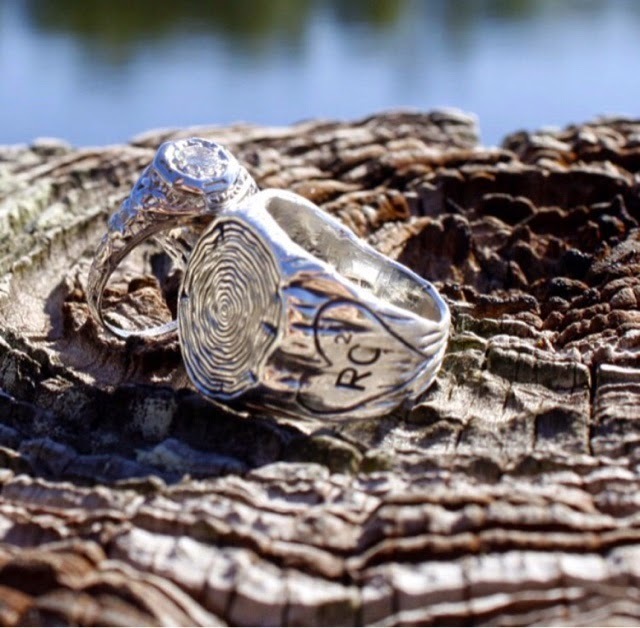 Because we have the same initials, he had them carved into the ring, just like in the book. 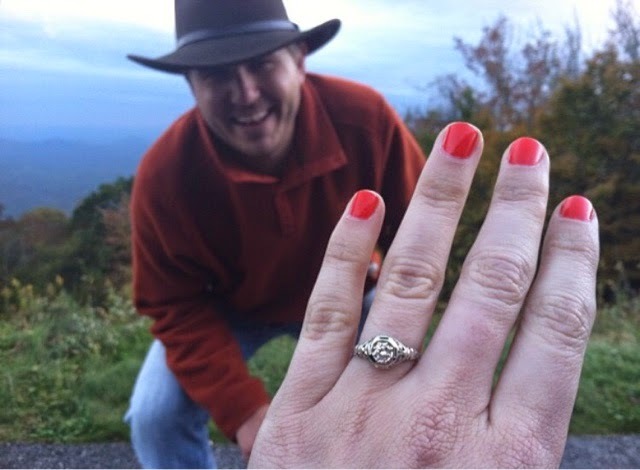 My engagement ring is a 1930s art nouveu in white gold because he knew I wanted something old. I wanted something that had belonged to someone else at some point. Something that had a story and that someone else had loved. 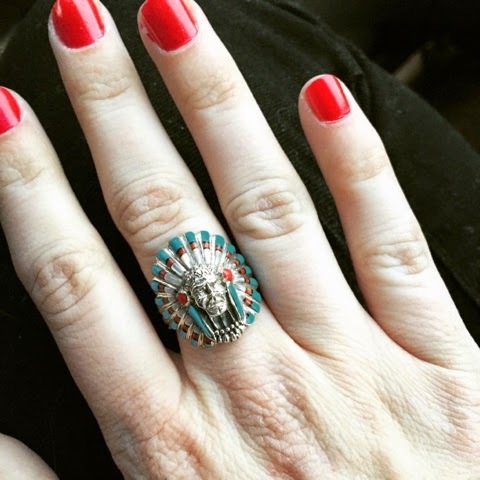 The ring below was my Valentine's Day present this year. Find someone who loves everything weird and unique about you. It makes things so much more fun.